As a core discipline within the liberal arts, the study of humanity’s heritage provides a classic mode of useful learning venues for developing well-trained minds. By examining primary evidence, formulating analytical interpretations, devising rigorous arguments, and anticipating possible rebuttals, our students learn firsthand the “historian’s craft” of reading widely, thinking deeply, reasoning persuasively and communicating clearly. Whether enrolled in Western Civilization surveys or upper-level honors courses, as a history major at HBU, you will experience a “laboratory of learning” that is foundational, formational, and inspirational — a threefold benefits package of wisdom that will last a lifetime. First, pursuing fundamental historical knowledge empowers and enlightens the learner while historical ignorance gradually results in a “clueless” citizenry. 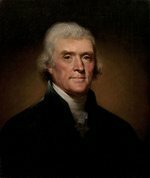 Thomas Jefferson, the primary author of the Declaration of Independence and the third US President, argued for vigilance in safeguarding knowledge because “being [both] free and ignorant”  is not possible — we are either one or the other. Thus, knowing the human story and delving into the nation’s archives helps “inoculate” us from the twin dangers of cultural illiteracy and historical amnesia. In addition, history’s focus on real people facing authentic life experiences compels us to consider how an individual’s character qualities (values, virtues and moral compass), along with other cultural mores of bygone eras, influenced his or her actions. Assessing the ways past personalities handled unexpected power, juggled ethical issues, and wrestled with difficult decisions while facing private or known crises, can still help shape our own attitudes, judgments and reactions toward personal or public modern-day dilemmas. America’s record is replete with notable leaders and less-famous figures who lived well and wisely by making crucial choices based on their “sacred honor” rather than fame or personal gain. And finally, historical chronicles often highlight individual human and national achievements. Learning more about those who lived before us and admiring their nation-building deeds should instill within us a deeper respect for them and greater gratitude for their feats. It should also encourage us to keep moving forward through our own times of difficulties. By noting how their perseverance and selfless sense of duty to community and country helped them overcome great obstacles and grim circumstances, we pay homage to their memory by being diligent and vigilant in the here and now. You will also have a strong foundation for further study in graduate school. Our students have presented major research papers, earned graduate degrees from Oxford and headed for professional training in law school. HBU has a chapter of the Phi Alpha Theta National History Honor Society. Read more about our requirements and course listings by clicking the “course catalog” button at the top of this page. Accessed on-line at: searchquotes.com/search/History_Is_Who_We_Are/, January 14, 2014. TJ’s quote, “If a nation expects to ignorant and free, in a state of civilization, it expects what never was and never will be,” accessed on-line at: monticello.org/site/jefferson/if-we-are-to-guard-against-ignorance-quotation, January 14, 2014.